In this tutorial we look at a specific application of the String Fragment System (SFS). We use a system of just 2 string fragments to instantly construct a cool type of Mixolydian Pentatonic scale. This system is movable, giving us the ability to play this scale with freedom, in many fretboard areas. 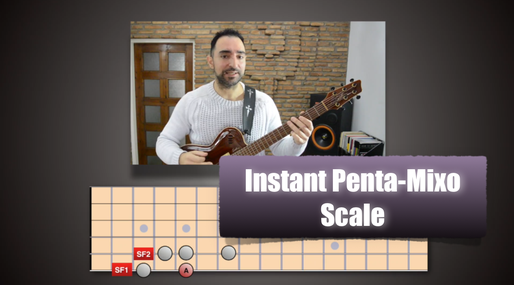 Mixolydian Pentatonic Scale - Root on strings 6, 4, or 2.